And if this isn't enough, there are hackers and cyber criminals out there who have the ability to easily steal your sensitive and personal data from the ill-equipped websites. In short, the bitter truth is that you have no or very little online privacy. To resolve this issue, you need a Virtual Private Network (VPN). If you are worried about online Privacy and have not thought about using a VPN, it might be time to get one. But, the question is: What are the best anonymous VPN services? Unfortunately, not all VPNs are as anonymous as they claim to be. Some VPN services keep extensive logs of their users' browsing activities, including IP-addresses for weeks, which nullify the point of using a VPN for privacy. As I previously recommended, Privatoria is one such VPNs that not only offers web surfing protection and web traffic encryption but also keeps zero-log of your online activities. 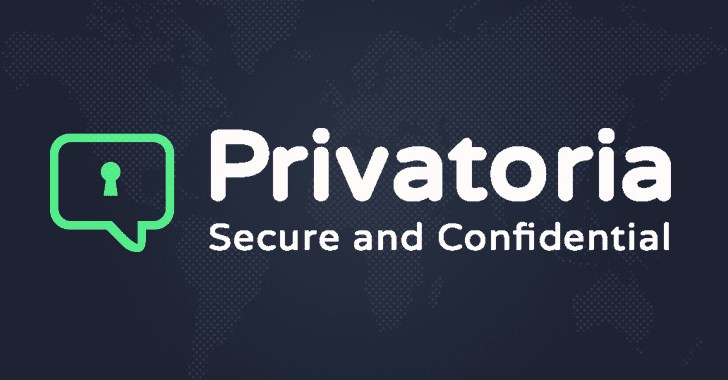 Privatoria, the Czech Republic-based company, offers far more than a VPN solution. Its features are identical to those of a life-jacket, bullet-proof vest or space suit for surfers, police officers or cosmonauts. Besides its No Log Policy, Privatoria VPN provides a number of great features that makes it one of the best VPN services available in the market. 1. Browse Web Anonymously — Privatoria's IP hider solution is built on Proxy technology that prevents IP-communication services from revealing your real geographical location, real IP address or browser version. You can get secure IP address to surf the Web anonymously without leaving digital footprints. You can even unblock geo-restricted content and enjoy it from anywhere with high speed without any barrier, circumventing online restrictions imposed by some countries. 2. Double encrypt (TOR+VPN) Traffic — For doubled security, you can use Proxy Tor that employs 2 channels simultaneously. You can change and hide your IP address from hackers and nosy parkers, without the need to download any complicated additional software. Tor-integrated VPN technology offers you double protection. So, you can also use VPN plus Tor to get an extra layer of protection and doubled privacy for your sensitive information. 3. No Log Policy — Privatoria's "No data mining" motto can be observed in every service and activity. Privatoria VPN guarantees no traffic logs, no government backdoors, and no storage of users’ data for third parties. 4. Send Secure emails — Privatoria VPN also provides you an opportunity to use additional PGP e-mail encryption with 256 bit AES encryption. You can send Anonymous emails from different addresses in order to enhance your anonymity online. It takes just a few seconds to create a mailbox which can be accessed through a web interface. 5. 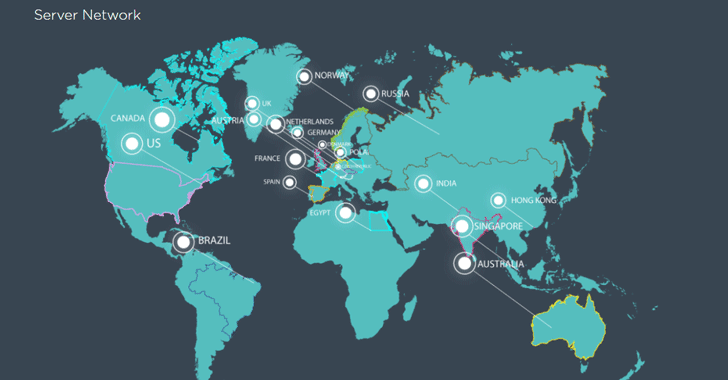 Worldwide Server & Network Speed — Privatoria VPN enables connection to 63 Tor servers and 19 VPN/Proxy servers in the USA, UK, Canada, France, Spain, Germany, Australia, Egypt, Singapore and other countries. It is also expanding the network of servers in all corners of the world. In terms of speed, Privatoria offers consistent performance with most servers providing a satisfying rate. Although the speed significantly depends on the geographical position, the closer your country to the server - the faster speed you get. 6. Platform Support — Privatoria supports all platforms and devices, including Windows, Mac OS, Linux/Unix, Fire OS, Chrome OS, iOS, and Android. 7. Secure Payment method — Moreover, it requires no personal data for registration. Advanced web surfers know about the way to enhance security and create anonymity, as Bitcoin crypto-currency is also accepted as one of payment methods with Privatoria. 8. Technical Live Support — Besides email-based ticketing system, Privatoria also provides live chat support, which is available during working hours of Central European Time (CET). Having contacted Live Chat for technical assistance on few queries, I received an instant reply within few seconds. Unlike many VPN services, you don’t need to wait for so long for any technical assistant. 9. Money Back Guarantee — Money back guarantee is always a nice thing to have and Privatoria VPN offers a 30-day money back guarantee, where you can request a refund if the service does not suit your requirements. Isn't this great? How to Get Privatoria VPN? So, if you haven't made up your mind yet and want to test a new service, Privatoria offers regular discounts and a free trial of up to 7 days. Privatoria is a highly cost-effective service and offers three different packages: a 3-month package for $4.33/month; 6-month for $3.83/month and 12-month for $2.74/month. The payment methods available to users are PayPal, Bitcoin (to enhance your online anonymity even more), as well as debit and credit cards. Due to its unique Internet security service that aims to provide an all-in-one security solution, users can feel totally protected online. With Privatoria's impressive features, it is nearly impossible for hackers, prying eyes, and even your ISPs to steal your data by snooping on your network or track the origin of your Internet connection back to you, guaranteeing complete privacy on the Internet. So, what are you waiting for? Try Privatoria VPN Free Trial today and secure your web experience.